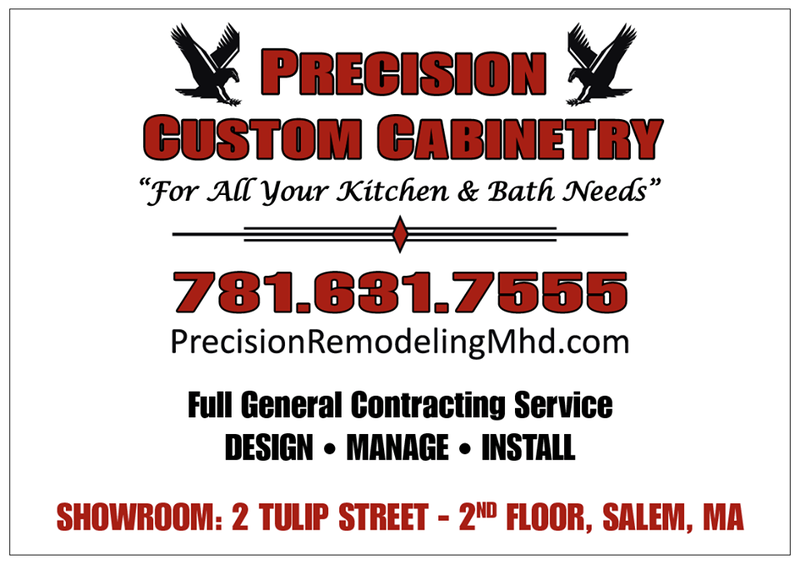 At Precision Remodeling and Construction we built our reputation on the old fashioned values of pride, honesty, and hard work. Our creative approach to each project allows for fresh ideas and solid craftsmanship. We have nearly 20 years of experience doing complete home renovations, kitchen remodeling, bathroom remodeling, historical renovations, and home additions. As a General Contractor, we work with a fabulous team of plumbers, electricians, mason contractors, and HVAC companies so we can take care of all the details of your construction project from foundation to finish. Our experience has afforded us the opportunity to present in font of the zoning and historical boards in towns throughout Boston’s North Shore. We are a fully licensed contractors (CSL 103733), have our HIC license (168276), and have our Mass Lead Safe license. It would be our pleasure to visit your home and offer of suggestions on how to conduct a great project that exceeds your expectations, finishes on time, and stays within budget.